My daughter continues to be one of my greatest teachers. Though she can be impatient from time to time, I am amazed at her ability to be flexible with whatever life gives her in the moment. Like a young sapling, she bends with the changing winds of the moment. I recently had a chance to put some of her wisdom to good use. Last weekend I had one of those travel weekends. I went to a class in Oakland and experienced three flight delays on the way down, and three more delays on my return flight. When all was said and done I ended up spending nine hours waiting to go somewhere. In the past this would have created a lot of stress and irritation. This time was different though. Instead of reacting to a problem that I couldn’t change I decided to to remain flexible and try to relax into what the day would bring. A healthy tree or plant must have a balanced combination of strength and flexibility. 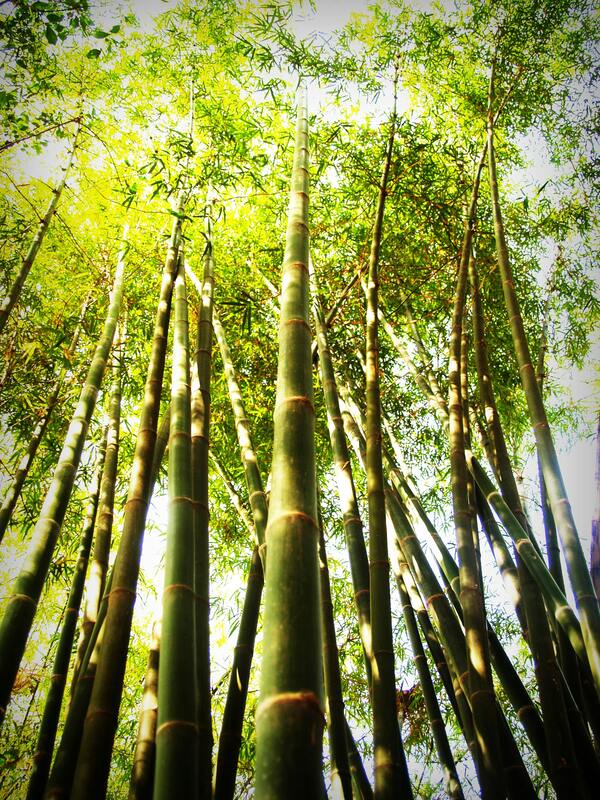 The archetypical example of healthy Wood in Taoist philosophy is bamboo: It is strong enough to build a thirty-story scaffolding, but it will bend over and touch the ground in a heavy snowfall. Taoist tradition says that when Wood embodies the right balance of strength and flexibility, it can manifest its virtue of benevolence. You can witness this virtue by watching a seed as it grows into a tree. The seed sprouts and regardless of the obstacles that it faces, it continues its relentless movement toward the light. If a sapling is bent by a falling branch of a larger tree, it will simply bend and continue its growth. Of course to do this a tree must be flexible. As a tree ages, it tends to become more rigid. It relies more on strength to resist or overcome its challenges, and less on an ability to bend. This is fine when the weight of a problem isn’t too much to bear, but the moment the load is greater than the strength of a limb…snap, the limb breaks off. We can see that no matter the insult that is suffered, a tree will always bend and seek the light. This is a example of the benevolence of the Wood element. When I was stuck at the airport, I flashed to previous experiences of getting stranded in airports. I remembered the time I raised my voice at the ticket counter lady; I thought of several occasions of worry and anger that didn’t solve any problem, rather only made me more exhausted when I finally did arrive at my destination. So this time I thought of how my flexible 4-year-old daughter would handle the change of schedule. She wouldn’t know that it was an annoying inconvenience. She would simply do what she always does and be completely present in the moment and orient towards the light of curiosity and enjoyment . I made a conscious choice to bend with the weight of the situation and turn it into a positive, and the grandest thing happened: It actually turned into a great nine hours. I met a few wonderful people, I read half of a book that I had wanted to read for months, and I was reminded that the moment is where life is happening, whether I embrace it or not. The ability to remain flexible remains one of the most helpful skills that one can develop. To be able to remain flexible while reaching toward the light can turn a difficult situation into a more positive experience.